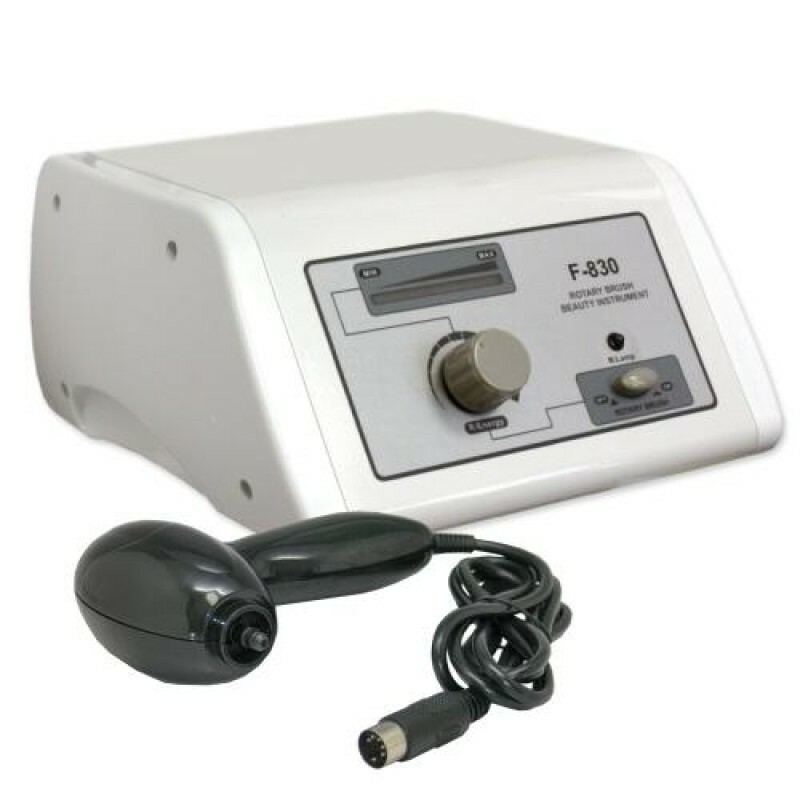 Wake up sleepy skin, and promote a revitalized complexion when you use the Facial Brush Unit (F-830) with 4 Adapters* from Natali Products on your clients! The Face Brush Unit cleanses and stimulates the skin, thanks to its rotating mechanism, which helps to slough off dead skin cells, revealing a more radiant complexion. Use it for 2 to 4 minutes on the face and neck for a thorough cleansing. Select a less intense rotation speed for clients who have sensitive or dry skin. And for those with normal-to-oily skin, you can use a more vigorous speed for the best results. There's a button to change the direction of the rotation, a knob to control the rotation speed, and a light diode display to indicate the rotation speed. Following the cleansing process, it’s important to apply any skincare treatment immediately to achieve the best results and for better product absorption. After use, you must thoroughly cleanse the professional facial brush. Following that, it should also undergo UV disinfection to ensure that it’s ready for the next client. Purchase the professional face cleansing brush unit from Natali Products today, and help your clients achieve beautiful skin! And remember to check out all our other spa equipment and esthetician supplies. We carry the latest devices and products at price points that go easy on your wallet! Dimensions: 9.5" x 9.5" x 5"